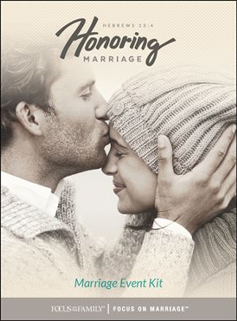 Our Honoring Marriage Event kit will help you host a special church-wide celebration that includes all – married couples, singles, youth, and kids. Celebrate marriage in all your services and classes that weekend (or another weekend of your choice) and also host a fun couples date night with the easy to use resources provided in this kit. The DVD format allows you to host the event whenever it works for you. Also included is a "How-To" Guide that will help you provide a great experience. What are the strengths and weaknesses in your marriage? Find out, by taking the Focus on Marriage assessment.